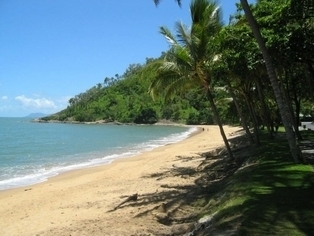 Trinity Beach House is located directly opposite the pristine waters of Trinity Beach. 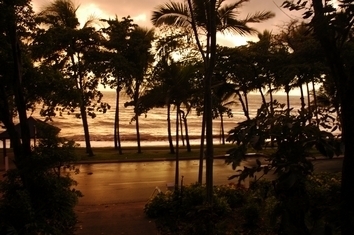 The view from the Treetops & Garden Apartments and the serenity of life by the beach is spectacular! Located only minutes to local shops and amenities and within easy walking distance to delightful restaurants, bars and boutique shops. A frequent local bus will take you right into town or the nearby big shopping Mall if you wish. 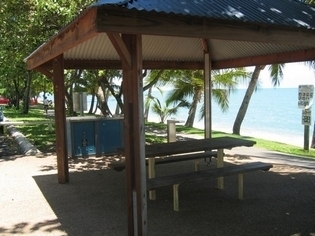 The holiday apartments are designed for easy beachside living making your holiday carefree! 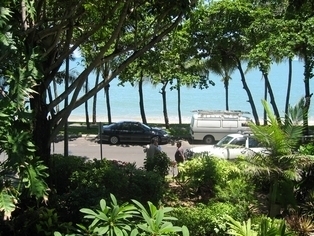 Both the Garden and Treetops apartments have picturesque views over the pristine waters of Trinity Beach through a Palm Tree lined waters edge. Couples apartment is sheltered, however is only a hop, skip & a jump to the beach. Bus & Taxi services accessible. Free Laundry facilities are provided with a shared extra bathroom with shower and toilet to get the sand off when you come in off the beach.